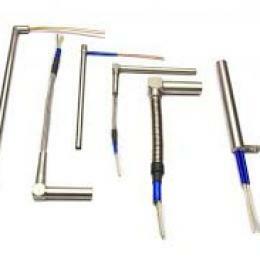 The cartridge heaters are cylindrical heating elements that can be high or low load . The main difference between these two types of cartridge resistors is that the former are prepared to be used in adverse working conditions, in which high temperatures must be withstood. We speak of high load cartridge resistance when they can reach 32 W / cm and are ideal for concentrating high powers in relatively small spaces. 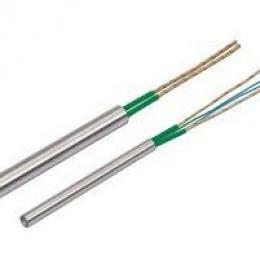 These heating elements are built with a ceramic core of magnesium oxide, to which is added a coil of resistive wire NI - CR 80/20, fully compacted and rectified. 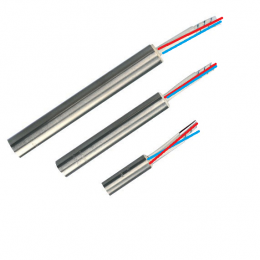 The cartridge heaters have a great versatility and are widely used in the industry to generate energy in the form of heat for various industrial processes and in different applications: hot runner systems, plastic and thermoplastic industry, packaging machinery, industry of footwear, labeling industry and food labeling, etc.